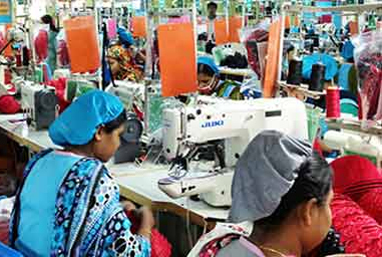 DHAKA, May 27, 2018 (BSS) - The government has taken a Taka 10 crore project under Remediation Coordination Cell (RCC) to follow up renovation programmes taken for ready-made garments (RMGs) for improving working conditions. The programme will begin from July 1. "A total of 3780 RMG industries started renovation activities with the association of International Labour Organization (ILO) after the collapse of Rana Plaza at Savar," Department of Inspection for Factories and Establishments (DIFE) deputy inspector general Md Mahfuzur Rahman Bhuiyan told BSS today. He said under the national initiative of the government, a total of 1549 RMGs started renovation programme while 1505 RMGs under European buyers' alliance 'Accord' and 890 others under American buyers' 'Alliance'. RCC was formed with the coordination of six concerned institutions, including Rajdhani Unnayan Kartripakkha (RAJUK), to improve safety in garments industry. Bhuiyan said Some 150 risky RMGs were shutdown since formation of RCC. He said around 27 percent of renovation activities of 809 risky RMGs among 1549 RMGs under national initiative have already completed. Some 60 engineers have been appointed to follow up the programme taken under RCC while the activities will begin from July 1, he added. As per the treaty with owners of RMGs, license of those industries which will not make renovations either will be canceled or shut down. Under the renovation programme, 296 RMGs are in Dhaka, 172 in Narayanganj, 190 in Gazipur, 126 in Chittagong and 25 others in different other districts.